For fellow citizens affected by natural calamities, APL extended support to alleviate the suffering of the people affected by devastating natural calamities in the country. 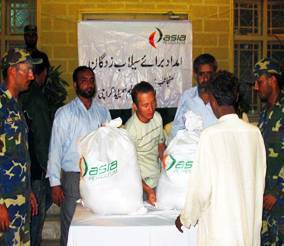 APL distributed 1,550 survival kits worth Rs 7.0 million in three different districts of Sindh namely Badin, Sanghar and Sajawal in coordination with the Pakistan Navy and the Local Government. Moreover, Rs 3.0 million was donated to the Prime Minister’s Relief Fund 2011. About 4 truckloads of relief items worth Rs. 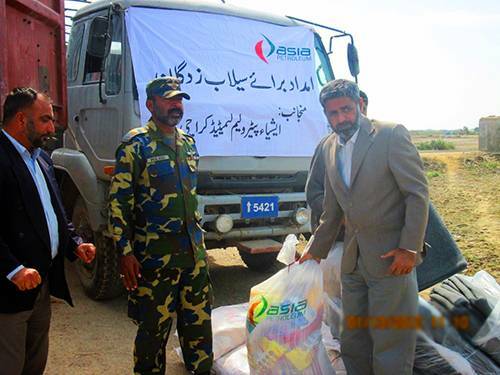 5.0 million were distributed among flood victims in various parts of Sindh province. Further, donations worth Rs. 2.5 million and one day salary contribution by APL employees, was made to the PM Fund for Flood Relief.